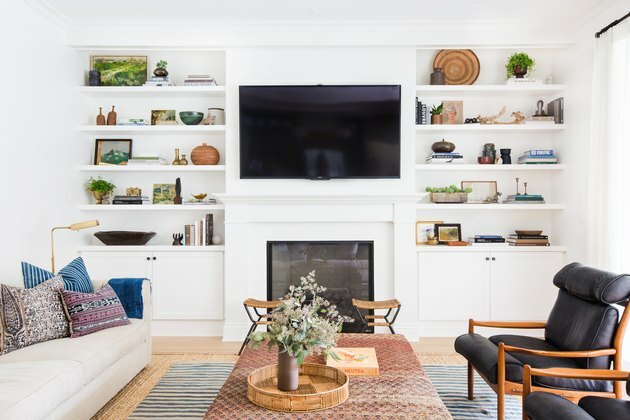 You've probably heard the term craftsman style casually thrown around on almost every home design show on television — but what exactly is it? Read on to find out more about the style's history and distinctive features. Craftsman style started with English designer William Morris who founded the Arts and Crafts movement in the 1860s. It celebrated the idea of using local, natural materials and clean lines to create custom finishes that even the "common man" could afford. Until then, the popular, overly intricate Victorian-style homes were only obtainable by the ultra-wealthy. 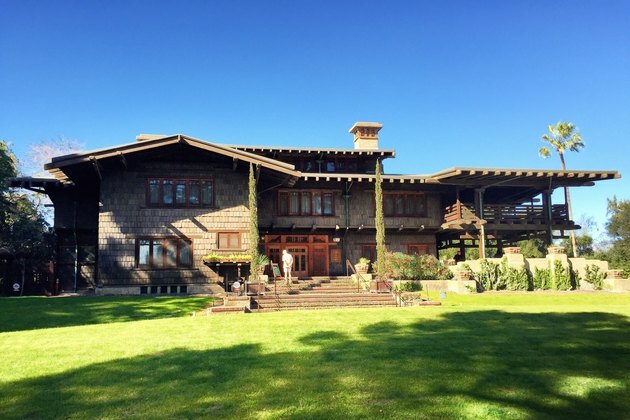 The Arts and Crafts movement finally made its way to the United States at the turn of the 20th century during the fall of the Victorian Era where two California brothers — Charles Sumner Greene and Henry Mather Greene — applied the style to their architectural designs and thus, craftsman style was born. You can tell if a house is a craftsman or not from the very first glance. Typically built from stone, brick, and real wood, craftsman style houses are most well-known for their low-pitched overhanging roofs and column-heavy front porches. Other architectural elements like exposed wood beams, dormers, and a front porch gable are all distinct elements unique to craftsman style houses. These homes, which are also commonly referred to as bungalows, are all about the details. Although a traditional craftsman style house may not have a wide open floor plan, the limitless character of the house more than makes up for it. Rather than having a straight line of sight from one end of the house to the next, a craftsman has individual rooms each separated by thick cased openings. It gives each room a sense of purpose and makes it easier to use different paint colors, flooring, and decorating styles in each one, too. Most craftsman houses are equipped with a private entryway that not only acts as a drop zone for your purse and keys, but also helps keep your main living area from becoming inundated with piles of clutter. Having a defined entryway, like this one by Gilmore Design Studios, also gives you and your guests a chance to momentarily decompress before entering the rest of the house. 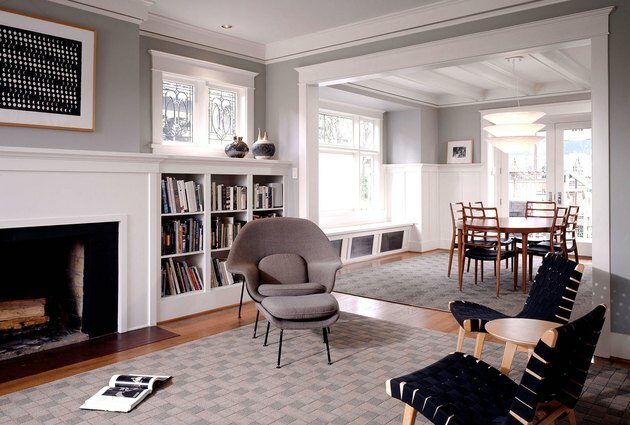 While the heart of the modern house might be the kitchen, the heart of any craftsman house is around the fireplace. 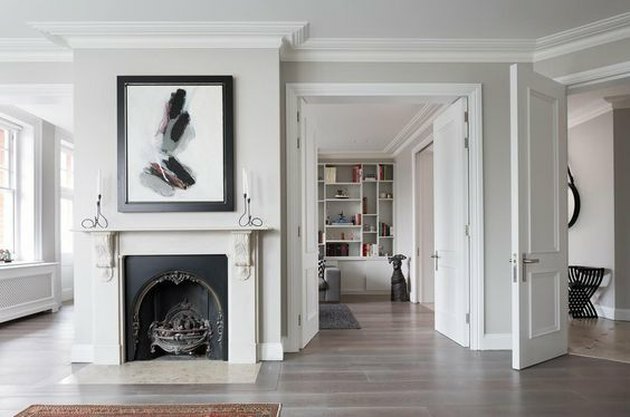 Typically centered on the wall and flanked by either built-in bookcases or windows, the fireplace has been able to stand the test of time as the focal point of the home. 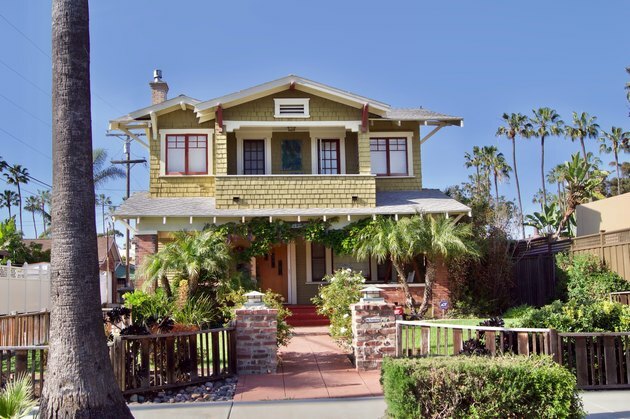 If you look at a two-story craftsman, you can expect to find the staircase situated along one of the exterior walls. These homes avoid a center staircase because it creates a dark wall in the middle of the main living area. 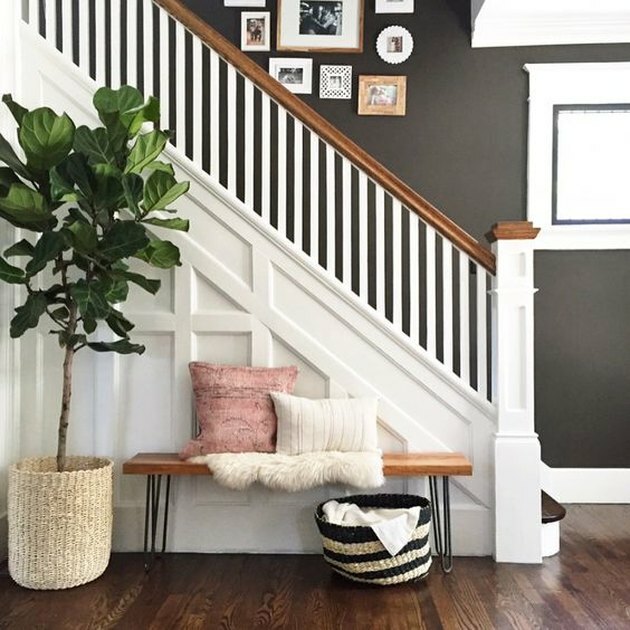 An exterior wall staircase, like this one from the home of Whitney Utesch, lets natural light flood the bottom floor of the house. As seen in this neutral and modern craftsman style house designed by Sheri Olson Architecture, the thick moldings on the top and bottom of the walls and around each window make the space feel custom and inviting. For many home owners, it's the handiwork and attention to detail in these pieces that fuel their love for the style of architecture. The dining room is a place where everyone comes together; craftsman design takes advantage of this by pulling out all the stops. The walls of the dining room are typically adorned with square, waist-high wainscoting that makes it a room you'll look forward to being in every day. 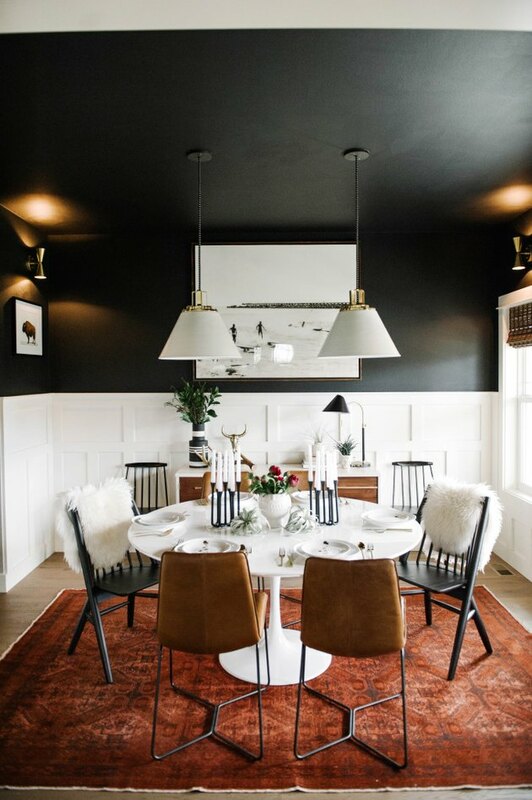 The blog Suburban B's chose to give their dining room a modern twist by using black paint on the top portion of the room (including the ceiling! ), which makes the white wainscoting and gold accessories really pop.